Christ Institute of Management (CIM) is a nurturing ground for an individual’s holistic development to make an effective contribution to the society in a dynamic environment. MCE Society's Allana Institute of Management Science in joint association with Centre for Academic Leadership and Education Management (CALEM) (Under the Scheme of PMMMNMTT HRD Ministry, Govt. 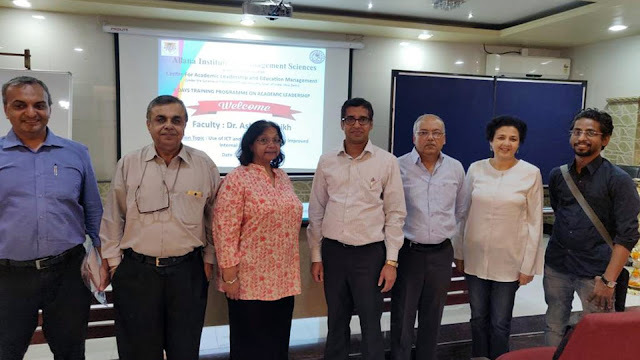 of India, New Delhi) Aligarh Muslim University, Aligarh organized a four day Training Programme on Academic Leadership from 2nd to 5th April 2019 at Azam Campus, Allana Institute of Management, Pune. 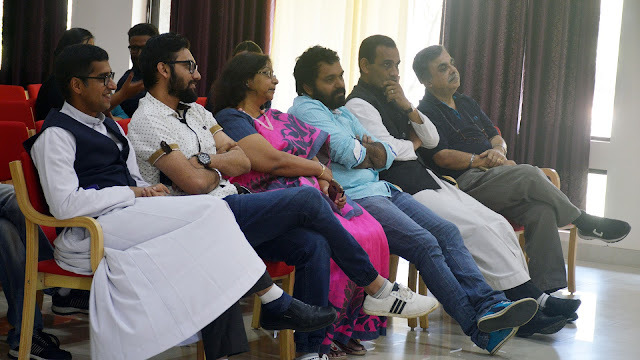 It was attended by Dr Dilip Nandkeolyar, Dr Jayant Mahajan, Assistant Professor Sanjay Sahai, Dr Benny Godwin, Counsellor, Ms Arpita Ghosh and Assistant Professor Anita Pandey from Christ Institute of Management, Lavasa. On 2nd April 2019 the program began with a ceremonial lighting of a lamp in which Coordinator, Fr Arun and Dr Dilip did the honours. The ice breaking session gave an opportunity to the participants to intermingle with each other. IMC India Calling Conference was held on Monday, 25th March 2019 at Hotel Taj Lands End, Mumbai. 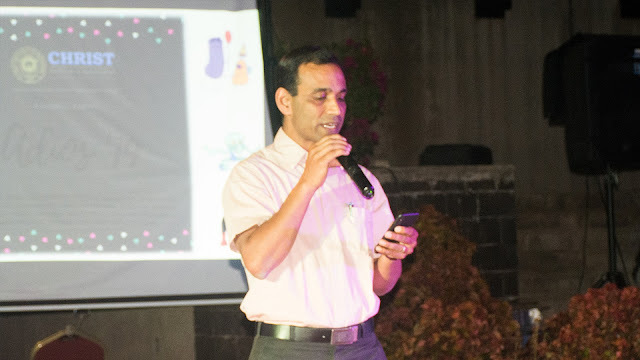 It was attended by CRM Mr JK Pandey from Christ Institute of Management, Lavasa. A serious discussion was held on INDIA – A land of opportunities – one of the Fastest Growing Economies of the World- An Overview on Policies and Opportunities during the inaugural session. Mr. Raj Nair - President, IMC Chamber of Commerce and Industry gave an introduction about the conference. The welcome address was given by Mr. Rajiv Podar - Chairman, International Business Committee, IMC. A Special Address was given by Guest of Honor, Mr. Deepak Bagla - MD & CEO, Invest India, Mr. Anil Agarwal - Joint Secy- Dept. for Promotion of Industry & Internal Trade, Govt. of India, Mr. Manoj K. Bharti - Additional Secretary (ED & States), Ministry of External Affairs, Mr. Sajjan Jindal - Managing Director, JSW Group and Mr. Amit Agrawal - CEO, Amazon. Today, is a day of joy, as we bring to a close a journey that we started two years ago. I am conflicted with emotions as I stand before you, proud of what you have become and perhaps a bit sad that the day has come for your to move out. Despite some hard tasks, sadness and grief that you have encountered in the course of your studies in the college, at the end of it all, you completed this part of journey with great achievements and beautiful memories. Being tough with you at times does not mean that we hate you, but it was to prepare you for a greater challenge ahead, and to nurture you to build a strong foundation for your next level. We can all say with pride that you have attained this impressive milestone in your life with great honour and integrity. We wish to thank you for the uncommon zeal that you demonstrated in your relationship with the teachers, management, the junior students. It has been rightly said that to meet and to part is the saddest tale of many a human heart. 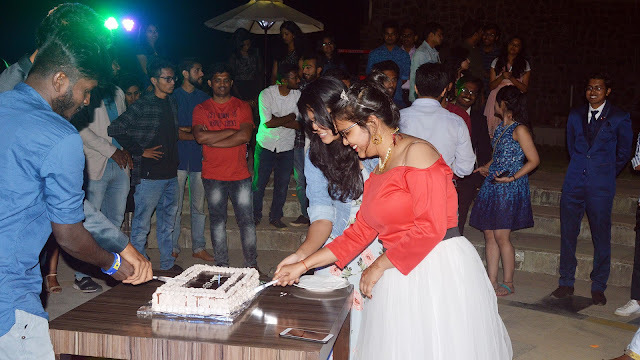 A fond farewell was given by the junior students of Christ Institute of Management, Lavasa to their seniors on 16th March 2019 at Hotel Celebration, Lavasa. The juniors joined hands and worked in close collaboration with each other to make the evening memorable. A warm welcome at the beginning instantly made the seniors feel at home. The personalized greetings were received well by them. The venue was impeccably decorated. The diamond shaped mirrors arranged artistically and a brown nearly leafless tree was creatively decorated with photos stuck on thick sheets of paper. The photo booths and photo frames at strategic locations were a huge draw. The yellow and white balloons which lined the stairs added spark to the decor. Grazie Mille! Merci Beaucoup! Gracias! Danke Dir! Spacibo! Shukriya! Kiitos! നന്ദി Nandi! Dhanyavad! ధన్యవాదాలు, Dhan'yavādālu! Thumba Danyavaadagalu! Abhari Ahi! Thank You! Many words but same intent across the globe. Gratitude Day was organized by the seniors of Christ Institute of Management, Lavasa on 16th March 2019 in the auditorium. All the seniors expressed their heartfelt gratitude to the CIM fraternity for their invaluable help, guidance, encouragement and motivation from beginning to end. They were deeply moved by the overwhelming support of one and all during their two year stay in the campus. The seniors were genuinely grateful to everyone be they faculty members, juniors, contemporaries, support staff, catering team, stationery shop personnel, security staff etc. Their words of gratitude touched everyone to the core and they showered their blessings on the outgoing seniors. A CERTIFIED CAPITAL MARKETS & FINANCIAL MODELING PROGRAM will be conducted from 16th to 18th March 2019 at Christ Institute of Management, Lavasa. It will be attended by Christ University Undergraduate students. The students would embark on a three day applied training program on Capital Markets and Financial Modeling at CIM, Lavasa. The first two days of the training wil ltake place at CIM, Lavasa and the final day of training has been scheduled in Mumbai at EduEdge office. 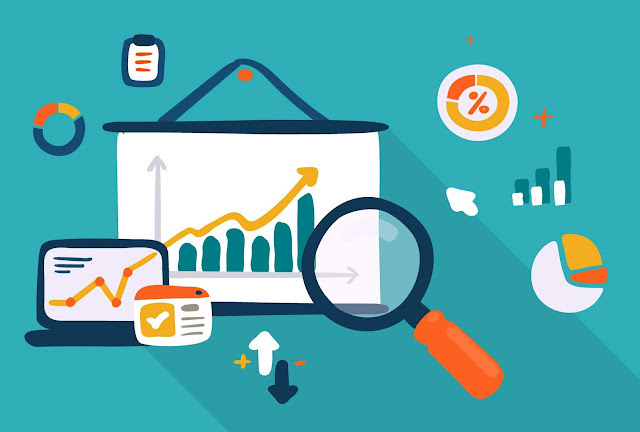 The main focus will be on Applied Capital Markets Training, learning from experienced financial market practitioners, Bloomberg Terminal Introduction, Learn Fundamental and Technical Analysis, Financial Modeling using Excel above all an exchange visit to Multi-Commodities Exchange (MCX). The domain coverage will include Equity Research, Derivatives and Portfolio Management. This 25 hours of Applied Learning has been jointly certified by CIM, Lavasa and EduEdge. As the academic year is coming to an end HR Club was engrossed in a wide variety of activities to test the skills of the students. 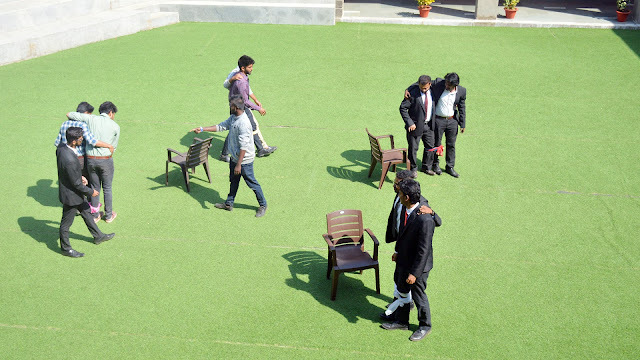 Various activities were conducted for HR students under HRS (Human Resource Skills) Challenge this entire week. It was a team project. The students were divided into a group of five members each. The topics were related to people related skills.The activities were based on team building, employee engagement, active listening, and self awareness. All the activities were designed in such a way that they were aligned with the topics. The students were also graded on how an activity was conducted, how were they able to connect with the audience and capture their attention. A lot of emphasis was given to relevance combined with display of HRS through the activities. While being a part of the activity the overall event management skill and positive feedback from the participant was also noticed perceptibly. CIM, Lavasa is an amalgamation of students from different ethnicity who work and learn in a harmonious environment as they make memories for a life time. The rain showers, cool balmy breeze, misty mountains fill the hearts and minds of young Christies with positivity in the sprawling campus of CIM. It is a well-planned institute with a peaceful atmosphere. The teachers are very friendly and supportive. Teaching and learning goes hand in hand and it offers enough opportunities for self-introspection. Nestled in the lap of Sahyadri Mountains, CIM, Lavasa offers a breath of fresh air and proximity to nature which makes it very conducive to any kind of learning.